Our Free Ebook is available for you to download - and yes it really is free. 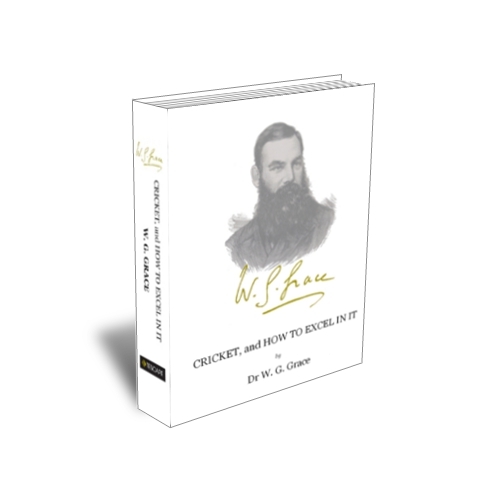 The book is a reproduction of W G Graces' book "Cricket, and How To Excel In It" first published in Boys Own Paper in 1880. There are nine chapters covering subjects such as batting, bowling, practice, and his view of the laws. It includes a short biography from the paper, and a copy of the Rules of the game as they stood at the time. This book is free and is made available with the request that, if you receive a copy of it, you consider making a voluntary donation to charity. The decision to donate, the choice of charity and sum you donate is entirely at your discretion, however we would recommend a minimum donation of £1 or its equivalent and we would suggest WaterAid as a highly suitable charity. Remember - we would like you to give at least £1 to charity, we recommend WaterAid. We would love to stay in touch so if you want to know more about TESCAPE and hear about our new releases of ebooks and audiobooks then do follow us on Twitter - or just drop us an email through our contact form.